Wow, this news comes as a shock. Nielsen Business Media told employees this week that it is shutting down Training magazine and its companion Web site, trainingmag.com, according to a Nielsen Co. spokesperson. The March issue will be the publication's last. The move includes the elimination of 11 positions, the spokesperson said. Nielsen Co. is exiting the trade publishing business; in addition to closing some publications, it is selling others. The company recently sold Billboard and The Hollywood Reporter to e5 Global Media. 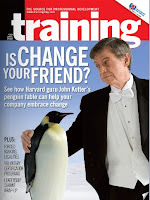 I've been a reader of Training Magazine since I've worked in this field. It’s always been one of the most well respected trade journals in the training business. They also sponsor the prestigious Training Top 125 Award, which recognizes the companies for training in the world. I was just in San Diego on February 1 to accept my own company’s’ award. I guess it’s a sign of the times. The end of an era. Thanks Training, for all that you’ve given our profession. I wish the staff, including Julie, Joyce, and Marjorie, all the best. 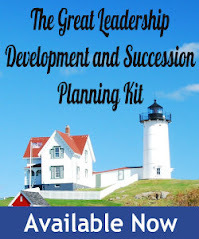 We’ll have to look to other organizations to recognize and learn from the leaders in training, including ASTD’s BEST awards, and CLO’s Learning in Practice awards. That's a shame, but good to know, as I have clients in the training/leadership space. Seems to be the way the wind is blowing, though I don't understand why Nielsen feels it necessary to do away with the site as well.